The concept of site selection has received extensive attention throughout history. Although plant location decision issues have always been important to US manufacturing firms, the impact of global competition has increased recognition of their importance. To successfully compete globally, manufacturers must have an effective global supply chain infrastructure, which requires effective communications. However, plant location strategies change over time, because of the dynamic nature of the variables that determine a location decision. This study was conducted to extend the location decision taxonomy by including telecommunications. The research included a specification of telecommunications attributes that impact site selection, the importance of telecommunications as a location decision criterion and the differences in location decision criteria between domestic (US) and foreign sites. The telecommunications-specific attributes determined in this study include: telecommunications infrastructure, cost, reliability, bandwidth, personnel, local and US government restrictions, and local and US government regulations on exporting and importing data. 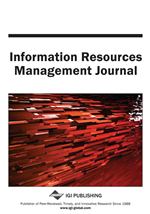 The conclusions of this study not only present evidence that telecommunications is influencing decision-makers in site selection, but also provides a list of criteria that are critical to site selection.